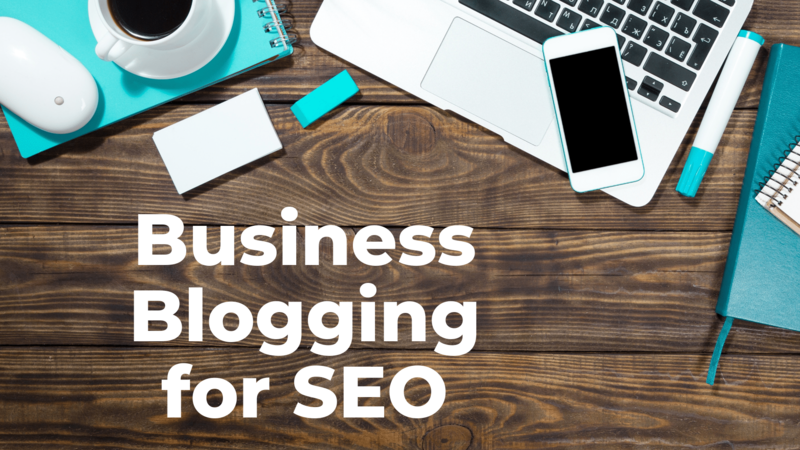 How Can Effective Business Blogging Increase Your SEO? This post was originally published in July 2016. Did you know consumers are 131 percent more likely to buy from a company after they consume early-stage, educational content such as an informative blog post? And companies that blog typically have 97 percent more inbound links than those that don’t, which means they receive more traffic from search engines. How can you keep coming up with topic ideas when business blogging? Here are some tips. If business blogging is part of your digital marketing strategy, you may find it difficult to constantly develop new topics. A strong topic needs to be created with the reader in mind; make it useful, timely, informative and simple. The first step to coming up with new blog topics is the brainstorm. Set aside time each quarter, and don’t be afraid to ask a friend or colleague for help if you need some fresh ideas. Also make sure you keep a notebook handy or a file on your phone for ideas; you never know when inspiration will hit! Create an editorial calendar to clearly lay out your business blogging ideas and develop regular features, such as a monthly product review or bi-weekly recaps of industry news. By planning a quarter, half year or a full year at a time, you can see the overall structure of your content topics. Looking ahead like this will also allow you to include upcoming events important to your business, industry and community. It also helps to change up the format of your blog posts. For example, in one post you could create a list post, where you literally feature a bulleted list of helpful ideas or tips for you readers. Then, in the next post you could write a “how-to” or do-it-yourself article that showcases your insight, tips and tricks. You could also interview industry leaders or employees, or write a post of curated content – just make sure you credit original sources. Make sure your articles include these elements when business blogging. 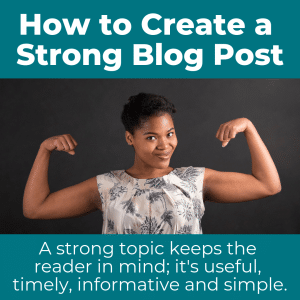 Now that you’ve come up with the next topics for business blogging, it’s time to think about how to make your posts powerful for your readers as well as the search engines. Consider your blog post’s formatting. Strong content isn’t enough for readers’ short attention spans. Make sure your post is easy to digest by using formatting to your advantage. Include sub-headlines, use numbered and bulleted lists, break up chunky paragraphs with quotes or images, and add charts and tables to support your content. Include at least one visual in your blog post, if not more. Research shows, “Posts that include images produce 650 percent higher engagement than text-only posts.” Select clear, crisp high-res images that are engaging and related to the post’s content. Make sure you have a right to use any images you use, too. Follow these SEO best practices when business blogging. 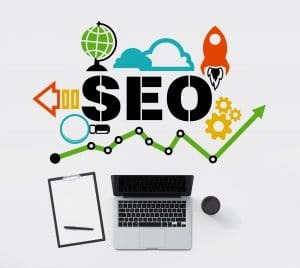 When business blogging, it’s not just enough to write articles your readers will want to read and format them in a way that’s easy to digest; you also need to think about SEO (search engine optimization). Here are a few best practices to make part of your blogging efforts. Consider frequency. For strong SEO, it’s important to be consistent – down to your posts going live the same day of the week and time of day. Active blogs engage readers better, which also translates into better search engine rankings. With this in mind, makes business blogging a priority at least once per week. Title: 50-60 characters, or about 6-13 words. Look at analytics. You won’t know how successful your business blogging efforts are unless you track the data. Install Google Analytics to get helpful information about who’s visiting various pages of your website and for how long, and then actually look at what the data is telling you. 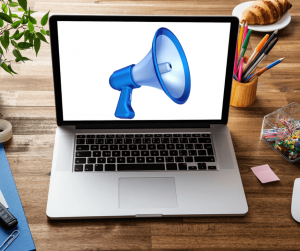 How do you promote your articles when business blogging? Pay to promote your post through social media platforms. According to Adobe Analytics, “Social media ads drive three times more non-customers than existing customers to retailer websites as of 2018.” Social media advertising is a fantastic way to make sure your business blogging efforts are seen. Do a simple search on Twitter on your blog post’s topic and see if others are struggling with it. If you can reply, share your post and help them out; they may also share your post and username with their followers and the circle goes round and round. Want to learn more about how to include business blogging as part of your company’s digital marketing strategy? Contact us to find out how it can help your brand, and check out these additional articles and videos for more insight! Video: Why Is Blogging Important?